Sadly passed away on the 22nd January 2019. Tony suffered from Chronic Obstructive Pulmonary Disease (COPD), a debilitating lung condition. TONY WAS AN ACTIVE MEMBER OF THE SOCIETY AND A TEAM MEMBER UNTIL ILL-HEALTH INTERVENED. 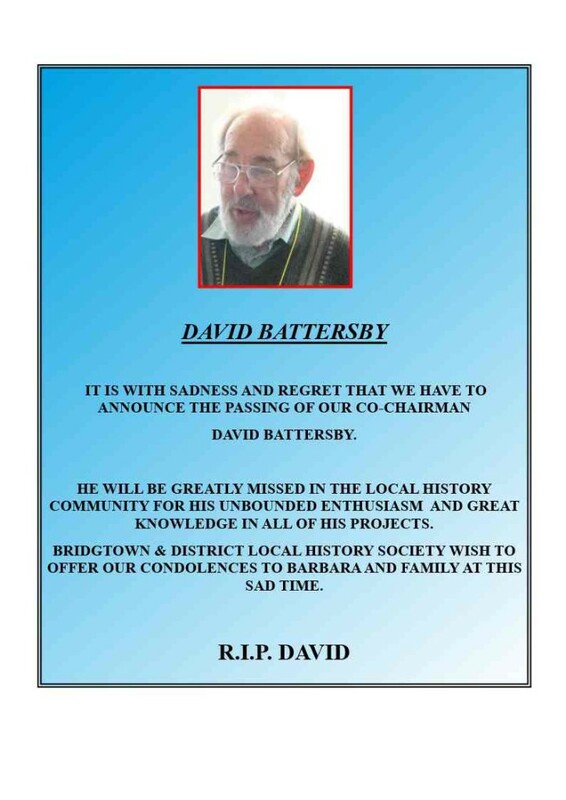 HE SHALL BE MISSED BY ALL WHO KNEW HIM AT THE SOCIETY. This will be followed by a wake at The Barns Huntington. It is with great regret that we report the passing of Mr Willi Schaefer, a long standing member of the Society, on September 8th 2017. He worked at Elliot & Lucas for many years including as a Director. His funeral will be at Bushbury Crematorium, West Chapel at 3,00pm on 27th September 2017. I MUST APOLOGISE FOR THE UPHEAVAL, BUT THE NEXT TALK ON 16th AUGUST 2017 WILL NOW BE HELD AT THE BETHEL CHURCH STARTING AT 10.00am. 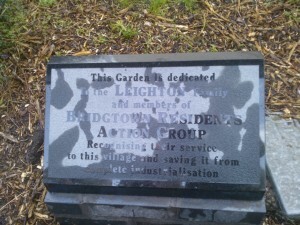 THE TALK WILL BE GIVEN BY BERYL HOLT AND IS ALL ABOUT THE GERMAN PRISON OF WAR CAMP CALLED “BROCTONLAGER”! 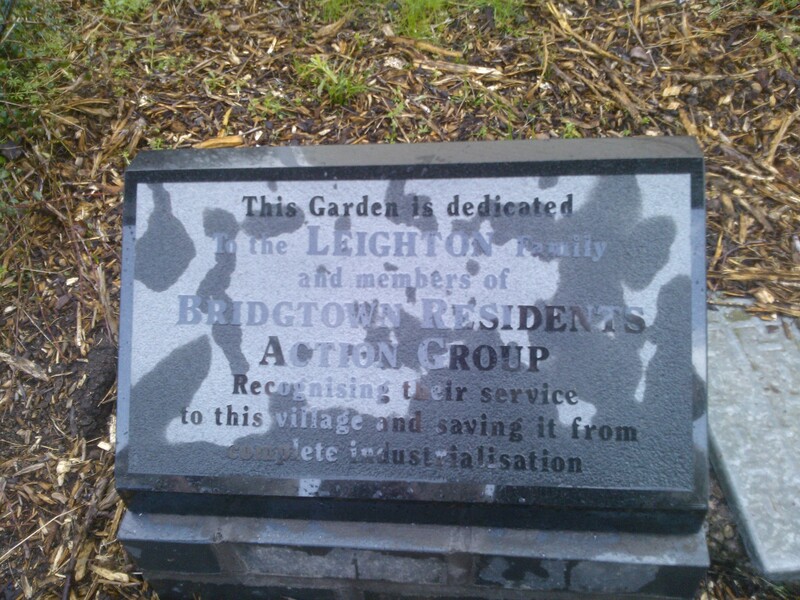 NOT A PLACE MANY PEOPLE KNOW ABOUT AND SHOULD BE AA EYE OPENER FOR US. 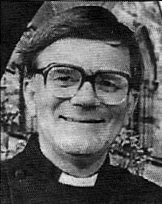 A little more information about the late Reverend Smart. His wife Rosemary was a Bridgtown girl and her maiden name was Winfer. We hope to get in touch with the family for more information. It is with great sorrow that we have to announce the passing of 2 of our members during July. 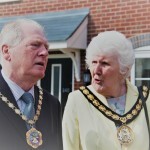 Mrs Iris Lomas – One of Bethel’s stalwarts passed away at the Stafford County Hospital on the 16th July. The Funeral will be held at the Bethel on Thursday August 4th 2017 at 12.30pm followed by Committal at Bushbury Crematorium at 13.45pm. 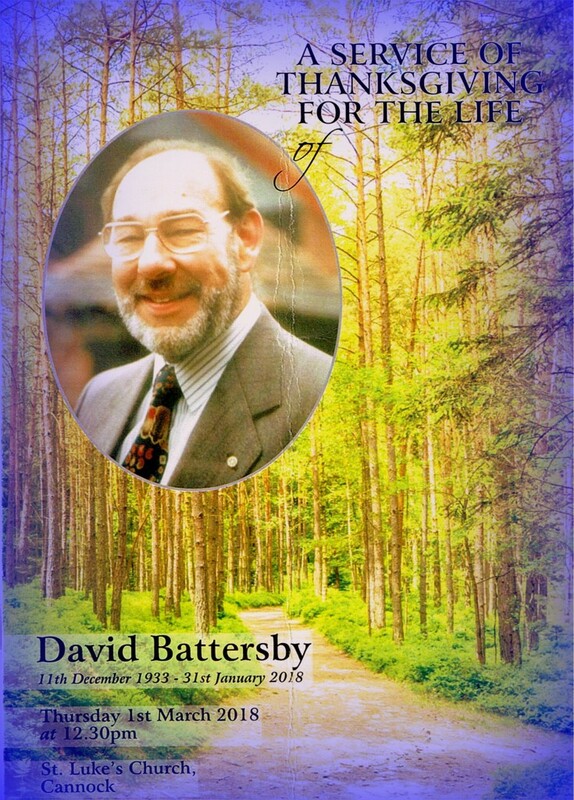 He leaves behind wife Rosemary, two sons and two daughters. Updating the events as below the talk on WEDNESDAY 21st JUNE 2017 – PASSCHENDAELE- THE LOCAL ANGLE by BOB BREVITT will commence at 10.00am at BRIDGTOWN SOCIAL CLUB, WALSALL ROAD (which is where we hold the Annual Exhibition). We have also booked the Social Club for the talk on Wednesday 19th JULY 2017 – THE CANALS UP TO CHURCHBRIDGE by DEREK DAVIES O.B.E. Please be aware that the Bethel Church will be undergoing structural repairs and will be closed from Monday 5th June 2017 for up to 8 weeks. This will disrupt our monthly talks. 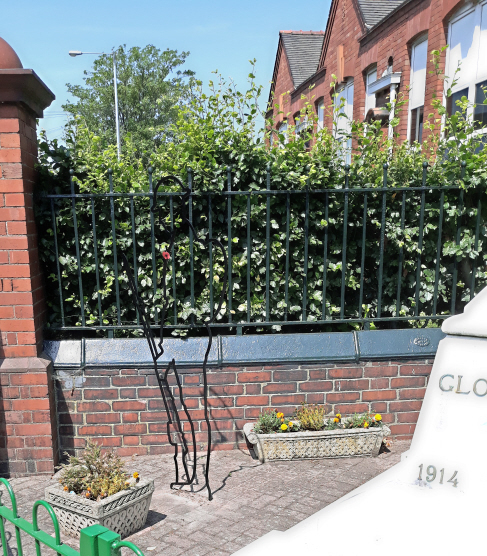 We are currently negotiating to move the talk and will inform everyone ASAP of the new venue for the Passchendaele Talk. The talks in August and September could also be disrupted and the team is aware and making plans. For those who see this, could you please inform those who do not have computer access, we are contacting people by phone and email. 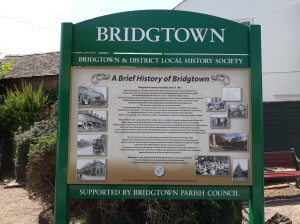 17th May saw an interesting talk given by our own Kath Page and took the story of Bridgtown back to it roots in the bronze age to its modern layout in the 1860’s. 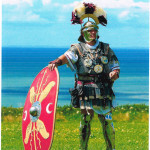 Its interesting to note that although the Romans were walking about on the Watling Street in the 40’s a.d. 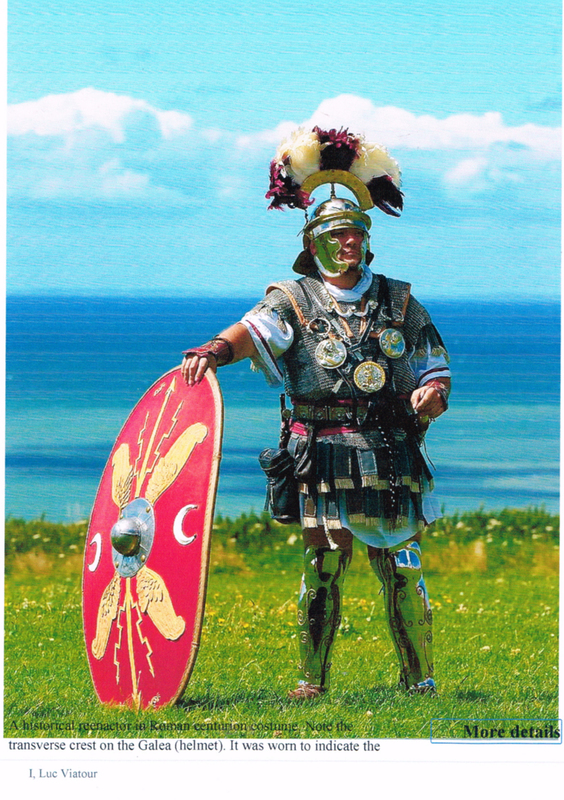 It is believed that the ancient briton tribe known as the Cornovii had built trackways previous to the Romans. 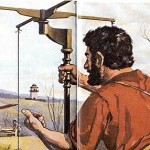 Kath scratch built a Roman surveying Tool called a Groma(above) to illustrate how the Romans built their roads so straight and indicated its use. 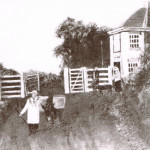 The toll gate system was explained and where they were in and around Bridgtown during the 17th to 19th centuries. All in all , a very enjoyable talk. 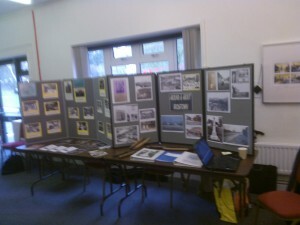 The HERITAGE TRAIL Page is now up and our first two boards are highlighted. 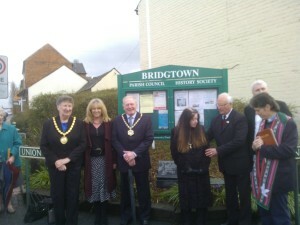 April saw the unveiling of our second Heritage Trail Board to go with the Churchbridge one. 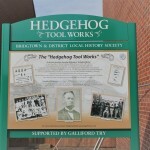 The board gives a history of the Cornelius Whitehouse “Hedgehog” works. 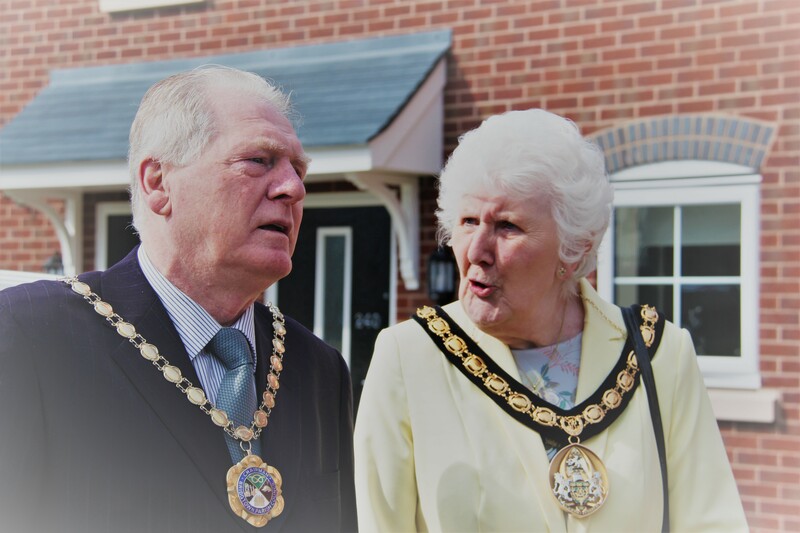 and is situated on Walsall Road on the corner of the new housing estate built by Galliford Try Ltd.
We met up at the Bethel Church along with dignitaries from Cannock Council and Bridgtown Parish Council along with invited guests and Society members. 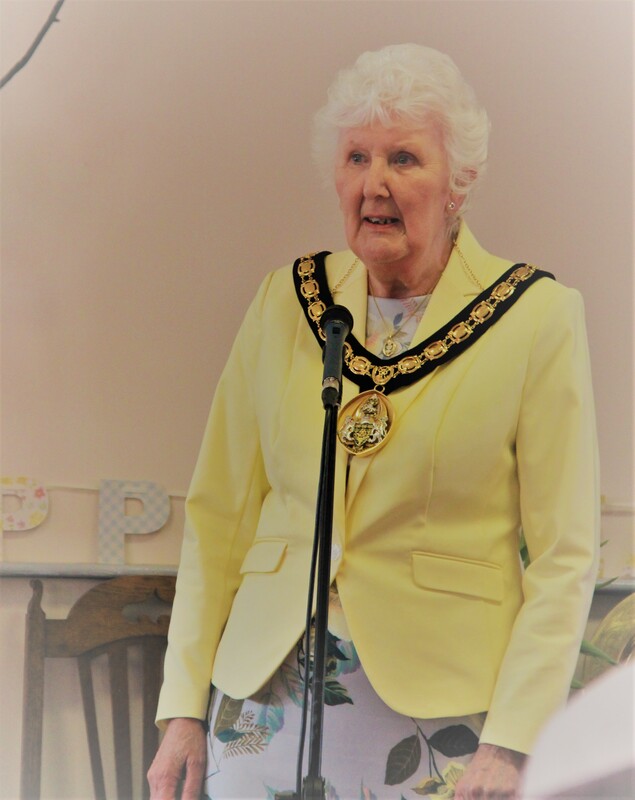 It was standing room only in the Church as Chairman, John Devey, gave a talk on the accomplishments of the Society and thanks for help from the Councils, Galliford Try. The gathering then went to the site where the unveiling took place. 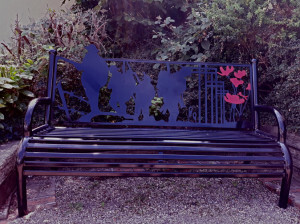 For those who couldn’t go to the unveiling Kath Page gave a short talk on the Post Offices in Bridgtown down the years and a slide show of the Edge Tool Industry was shown and repeated on the return of the Unveilers. 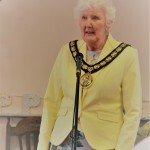 Speeches by Derrick Middleton on the future installations and from the Chairwoman of Cannock Council were given and the important part started – the Buffet. 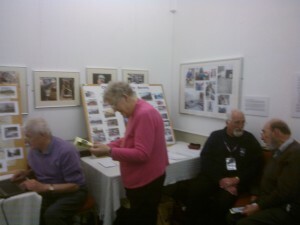 It was a well attended event and did a lot to advertise the Societies many projects and community worth. The Annual General Meeting on 3rd May attendance from members was poor with only 1 member apart from the team in attendance. I reiterate : ALL WERE WELCOME. IF YOU HAVE ANY IDEAS AS TO THE FUTURE PROJECTS OF THE SOCIETY OR HOW IT IS RUN PLEASE COME AND LET US KNOW ! We on the team are getting older and staler and new blood and ideas is urgently needed. 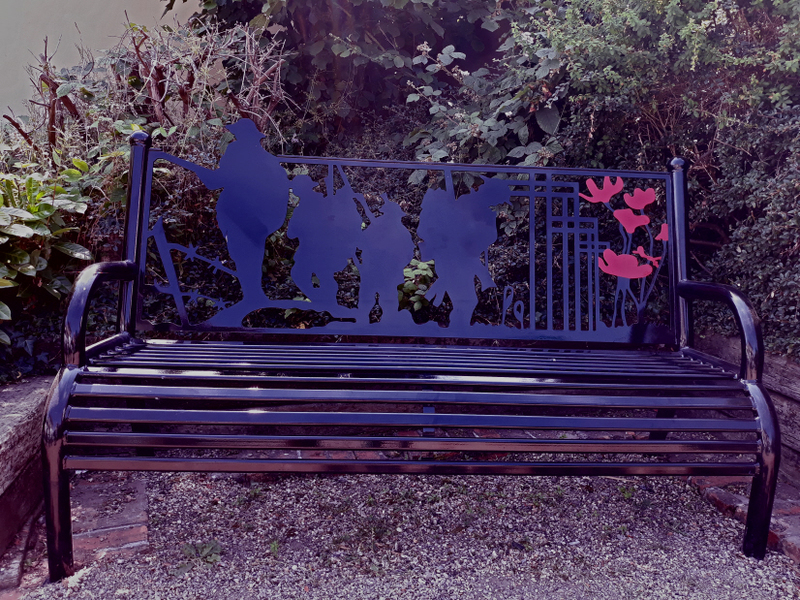 Although these last few years have been very productive as far as projects go – The Heritage Trail, Books and Annual Events along with various money raising raffles and sales, it is getting ever more difficult to stage these events. We therefore need an injection of younger blood, especially those with IT and computing skills to bring our projects up to date. 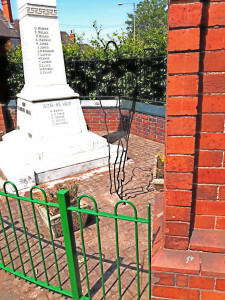 So if you or someone you know has time to spare and likes to delve into Social & Local History then please get in touch with one of our team or come to our Meetings, held on the first wednesday of the month, at the Bethel Church in Union Street, Bridgtown starting at 10.00am. All will be welcome. 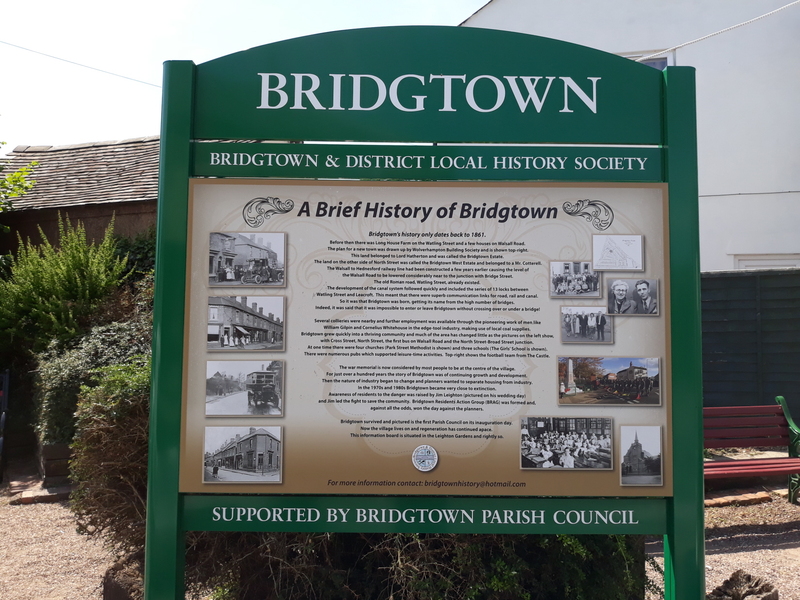 I am launching a new page to our web site : The Heritage Trail which will give progress reports of the Heritage Boards we are erecting around the village to let people know of Bridgtown’s Industrial and commercial past. Please be aware that our A.G.M. is on WEDNESDAY 3rd MAY 2017 at BETHEL CHURH, UNION STREET at 10.00am AND ALL ARE WELCOME. IF YOU HAVE ANY IDEAS AS TO THE FUTURE PROJECTS OF THE SOCIETY OR HOW IT IS RUN PLEASE COME AND LET US KNOW ! 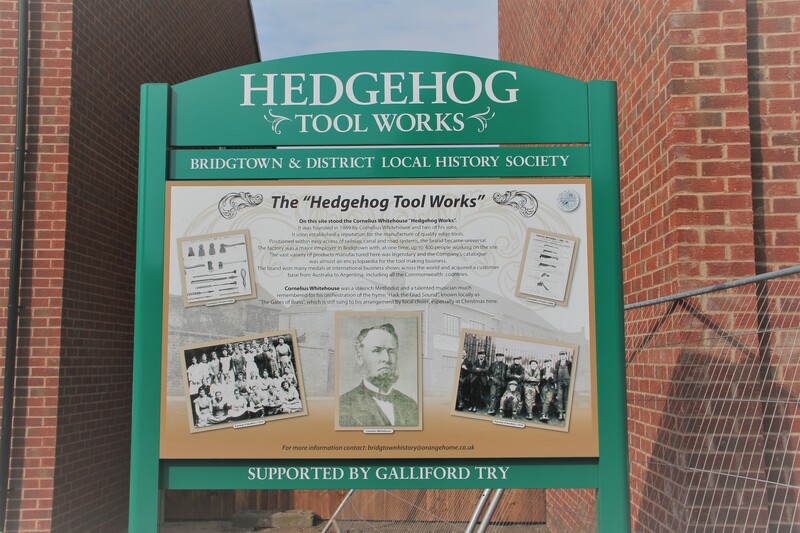 AS OF NOW OUR EMAIL ADDRESS WILL BE : bridgtownhistory@hotmail.com. . IF YOU WISH TO CONTACT US PLEASE USE THIS EMAIL ADDRESS IMMEDIATELY AND DISCARD THE OLD ADDRESS. THANK YOU. The new edition of the Bridgtonian has now been published and we are in the process of distributing it to our members. Due to some computing glitches we were unable to produce the winter 2017 version. We are now renewing memberships. Still at £7.00 per household – it is great value for money. Please contact the membership secretary, Bob Brevitt or pay through one of the committee members or at a talk and we will get your membership up to date. 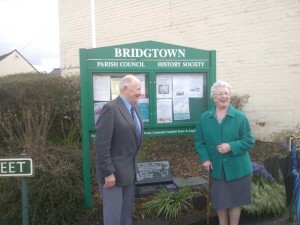 Our March Talk was by Derrick Middleton, who gave us his usual informative history of the streets of Bridgtown. 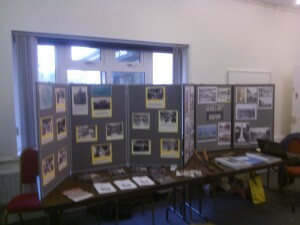 Another locally based talk to go down well with a sizeable audience. Once again, I must apologise for not updating the website. Since the last Update Christmas has come and gone winter has changed to spring, back to winter and now its spring again (I think).The Society has carried on and nothing momentous has occurred, but there will be an upsurge of news as the new year progresses. There are 82 posts and 4 comments so far.